It SHOULD NOT be a bunch of old fuddy-duddies talking about how great they are. It SHOULD be collaborative - more workshop than lecture. It SHOULD NOT be something other award bodies could do (fuddy-duddies and lectures spring to mind again). It SHOULD be unexpected and creative. It SHOULD NOT just be for uni/college students (open to all creative minds, in or out of the industry). It SHOULD be free (or at least inexpensive). A lot of you told us you were frustrated with how expensive some of the industry courses/lectures can be. There was also a frustration that lots of these lectures seemed to be some industry great putting on some Powerpoint presentation to tell you how clever, lucky, brilliant they were. So we started by putting together our education manifesto...see above! We are in the process of working out how we can do something that is really beneficial to students. As soon as this is resolved we will let everyone know. 100% of the money generated through our membership scheme goes to the Creative Circle Foundation. The Foundation offers students a free, one year, full time course in creative advertising. The Creative Circle Foundation is to enable students that wouldn’t normally be able to attend one of the existing creative courses due to the expense. This will hopefully enable us to achieve greater diversity in the UK creative departments. Use the form to register to become a member. Member benefits are detailed below. 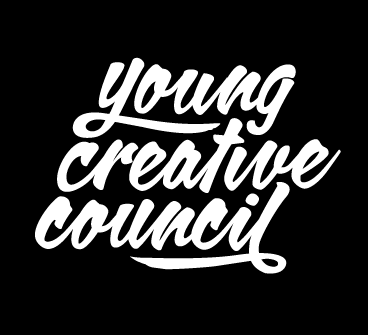 100% of the membership fee goes towards the Creative Circle Foundation to help improve the diversity of the students coming into advertisings creative departments. Unfortunately payment was not succesful or the process was cancelled. You can try again below or contact membership@creativecircle.co.uk for assistance. Your Membership registration was successfully submitted. Thank you. Please check your email for confirmation. Price inlcudes postage; select your issue and location. Issues 1, 2, 3 and 4 are now all sold out! Price includes postage to the UK. Please remember to specify which issue you would like to receive. Please direct any enquiries regarding past annuals and the magazine to . Please use the form below to order duplicate awarrds. Please note that ordering duplicate awards from past years will mean the duplicate is made out of the material for the current year. 1. Before the end of March for delivery in May. 2. Before the end of July for delivery in September. Once we have received your oder, we will be in touch with an invoice to cover the cost of production and shipping. 10% of all awards entry fees, 100% of all membership and 100% of events profits are committed to the Creative Circle Foundation, to improve diversity in UK creative departments. Download a copy (PDF) of the Awards Categories here. 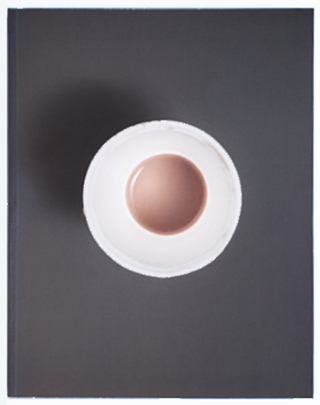 The Creative Circle is judged purely on creative excellence by the marketing creative community in the UK. It’s about great ideas, fresh thinking and beautiful craft. If you want an award for response rates, effectiveness or ROI, you’ve come to the wrong place. The Creative Circle is about creativity, whatever the medium. Every category has a Gold Award allocated to it. See below the list of Categories for a complete list of descriptions for each one. • 100* = the 100 word description is optional on all entries except where marked as a mandatory requirement by this reference. • HARD* = Hardcopy - this is optional for the entrant to send a hard copy to our office, 22 Long Acre, Covent Garden, London, WC2E 9LY. Please email to inform us that a hard copy has been sent. • Best Creative Department and Best Production Company are not open for entry directly. These awards are based on the success of the entrant obtained across all of the other categories. • Any execution entered into a craft category can not be entered again into another mediums craft category. i.e. an execution entered into Best Art Direction in Press can not be entered into Best Art Direction in Outdoor. New Talent Judged purely online by the online judges. Company Awards The winner of this award is assessed by the results of Gold of Gold, Gold, Silver and Bronze won by each entrant. Download a copy (PDF) of the Terms and Conditions here. 1. 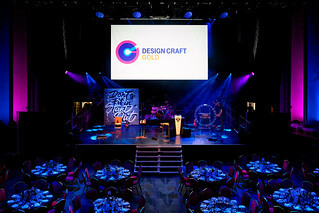 The Creative Circle Awards celebrates British Companies and Individuals involved in creating work for advertising and marketing communication - Advertising Agencies, Digital Agencies, Direct Agencies, Production Companies, Post Production Companies, Design Companies, Event Companies, Advertisers, Individual Creatives, etc. 2. It is the responsibility of the entrant to ensure that the commissioning client has the rights to use the intellectual property of the brand advertised. Entries cannot be made without the prior permission of the advertiser/owner of the rights of the advertisement. 3. The Creative Circle Award organisers may refuse entries, which offend national or religious sentiments or public taste. 4. All entries must not have been entered into the same category in previous years. 5. Any entry which, up to and including the final day of judging, has infringed any voluntary or regulatory codes of practice, is not eligible. It is the responsibility of the entrant to inform the Creative Circle Award organisers should any infringement have arisen prior to the judging and Awards Ceremony. 6. All Entries must be designed for screening, transmission or publication on television, cinema, on printed material, mobile phones, the internet, or public areas and must have been implemented for the first time between 1st December 2017 to the end of February 2019. Entries cannot be cancelled or removed from the competition after being finalised. 7. All entries must have been made within the context of a commercial creative communication and not for the purposes of just entering creative awards. Any entry deemed to have been made purely for awards will be removed by the award organisers. 8. The Creative Circle Award organisers may contact the client related to any entry at the request of the jury at any time during the voting process should any questions about the implementation or presentation of the work arise. 10. An entry will not be considered complete until it has been paid for. 1. All entries must be submitted for judging exactly as published, aired or implemented and may not be modified for awards entry. 2. Directors cuts, spec ads and conceptual advertising are not eligible. 3. The Creative Circle Award organisers reserve the right to request the details of the media used from each entrant company to verify the authenticity of the ad(s) in the event that entry is shortlisted or a winner. 4. In the event of a complaint against any shortlisted, winning entry, the Creative Circle Award organisers will conduct a full investigation into each case and will request detailed documentation from all parties concerned including the complainant, the entrants and the client. 5. The Creative Circle Award organisers will have no hesitation in withdrawing an award in cases where the complaint is upheld. 6. Entrants or companies who are proved to have deliberately and knowingly contravened any rules relating to eligibility may be barred from entering the awards for a period of time following the Awards as specified by the organisers. Here debate and discussion will proceed the voting. The judges will then decide which pieces of work are worthy of winning an award of either Gold, Silver or Bronze by a unanimous vote. If any of the judges have a relationship with a piece of work being voted on they will be asked to leave the judging room. Once all the Gold's have been agreed it is then left to the President to decide which of the Gold's is the Gold of Gold's winner for that year of which there shall only be one. At all voting stages, any judge is prevented from voting for entries submitted by his/her agency(ies). The decision of the Juries in all matters relating to the awarding of prizes will be final and binding. Gold, Silver and Bronze winners are decided by the Gold Jury. The results of the Gold Judging sessions generates the Shortlist. Every entry on the Shortlist is an award winner and will be featured in the Circle magazine. The Jury may choose more than one entry in each category as being worthy of winning either Gold, Silver or Bronze. Or they may decide there are no worthy award winners. Gold winners are presented on stage at the award ceremony. Silver winners are presented to the winning company at the event and Bronze award winners are able to collect their award from the awards desk. Each Gold award is a piece of the complete Circle on stage. There is only ever one Gold of Gold's winner. 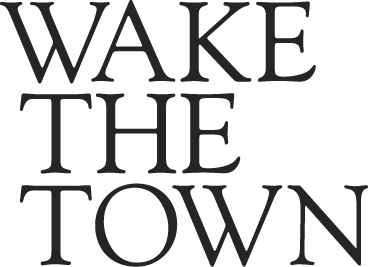 The Talent Categories, Most Promising Newcomer and Best up and coming Director, are decided by the Judges online as the Creative Communities choice. The Company Awards, Most Creative Agency, Most Creative Production or Most Creative Post Production House are judged by the relevant entrant companies success in winning Gold, Silver and Bronze in all categories. All awards will be given to the relevant entrant companies. Duplicate trophies can be purchased by other participating parties after the awards ceremony. 1. Entrants may be required to supply additional material of any shortlisted entry for the publication of the winners and any promotional publication and exhibitions held after the Awards ceremony. 2. In order to promote the awards, each entrant authorises the Organisers to screen or publish his ads with or without charge at public or private presentations, wherever and as often as the Organisers think fit. 3. In addition, each entrant undertakes to allow the lending or selling by the Organisers of the entries to any interested public or private organisation with a view to promoting the awards either directly or indirectly. 4. Any entry may be compiled by the Organisers into a collection of entries. Such a collection may not, nor may any extracts of it, be copied, marketed or sold by any organisation other than the awards Organisation or any organisation authorised to do so by the awards Organisation. 5. Each entrant agrees to assist the awards Organisers in supporting any legal action that may be taken to prevent a breach of this condition and to supply information to the Organisers immediately should they become aware that an unauthorised collection or compilation is available for sale or distribution. 6. Each entrant agrees to hold the award Organisers harmless of any claims that may be made against them by reason of any such screenings or publishing. Winners have the right to use any award given to them for promotional purposes on condition that this is correctly described. 7. 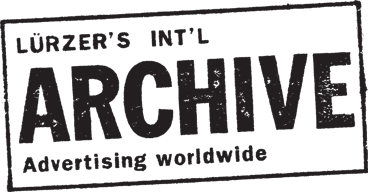 All entrants must accept that their entries may be used in the Creative Circles Archive. 8. Each entrant confirms to the Organisers that they have the legal right to enter the awards on the terms of these Entry Rules. 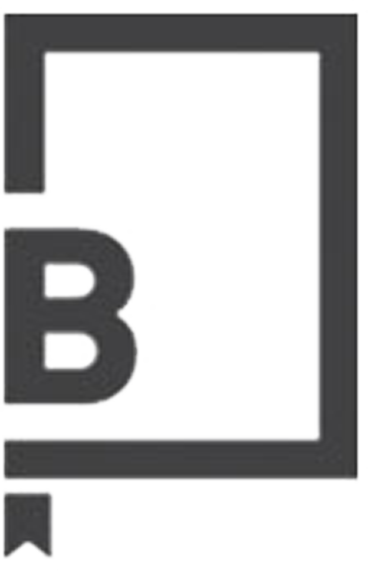 Each entrant indemnifies the Organisers against all liability to any other person, firm or company and all loss arising from a breach by the entrant of any of these rules. 9. Case study films are shown to the jurors purely for judging purposes and will not be used for the purposes of the awards in any other way. 1. Each entrant accepts full responsibility for the quality of entries and discharges the Organisers from any responsibility in respect of third parties. 2. All entrants will strictly observe the Entry Rules. Completion and sending of the Entries Payment Form will imply full acceptance by each entrant of the Creative Circles Rules. Non-compliance with any of the Entry Rules will result in automatic disqualification of the entry. 3. The decisions of the Creative Circle awards Organisers in all matters relating to the awards show shall be final and binding. 4. In the event of a win, any duties, fees and charges accrued from the transporting of the trophy, will be covered by the recipient, not the Creative Circle. 5. 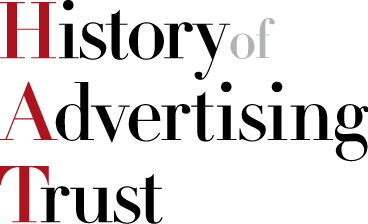 The Creative Circle Ltd, shall not be deemed to be in breach of this Agreement or otherwise liable to the Client for any failure or delay in performing its obligations under this Agreement as a result of an event or series of connected events outside the reasonable control of The Creative Circle (including, without limitation, acts of God, floods, lightning, storm, fire, explosion, natural disaster (including, without limitation, ash cloud), war, military operations, acts of terrorism or threats of any such acts, any strike action, lock-outs or other industrial action, or governmental or regulatory order (including prohibitions on public gatherings) and a pandemic, epidemic (such as swine flu or other disease) or other widespread illness, individually or collectively being an "Event of Force Majeure"). Please register below to be part of the Creative Circle judging process for 2020. To be eligible you must be an employed creative working in the UK. We would like all of our judges to sign up for Creative Circle membership. 100% of the money generated through the membership scheme is to go towards the Creative Circle free creative course to enable greater diversity in the UK creative departments. 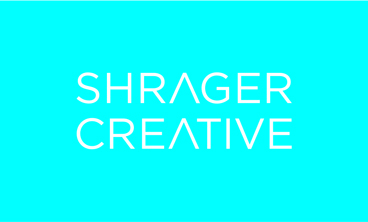 All entries will be judged by a UK based jury of creative people. Every creative is a judge. Each and every day, we watch, read, interact with and download ad after ad after ad. We consume more than any other demographic out there. It’s kind of an obsession. And we can’t help but have a say on it all. That’s cool. That’s crap. That’s boring. That’s smart. That’s funny. That’s awesome. That’s a ripoff. Wish I’d done that. Bet the client fucked that up. Visual pun. Erroneous apostrophe. Done in Brazil in 1979. Bound to pick up a ton of awards. Turkey of the Week. Best. Ad. Ever. Of course, when it comes to big awards ceremonies, very few of us actually get our say. And in fact, it becomes less about the opinion of the industry, and more about the opinion of an elite few. They’re the best of us, yes – but shouldn’t everyone’s opinion count? That’s why we are again inviting every creative to be a judge. If your agency has entered the Creative Circle awards in the past, or intends to this year, we’ll be getting in touch to invite your creative department to take part as online judges. Small groups of creatives will then mark entries out of 10. 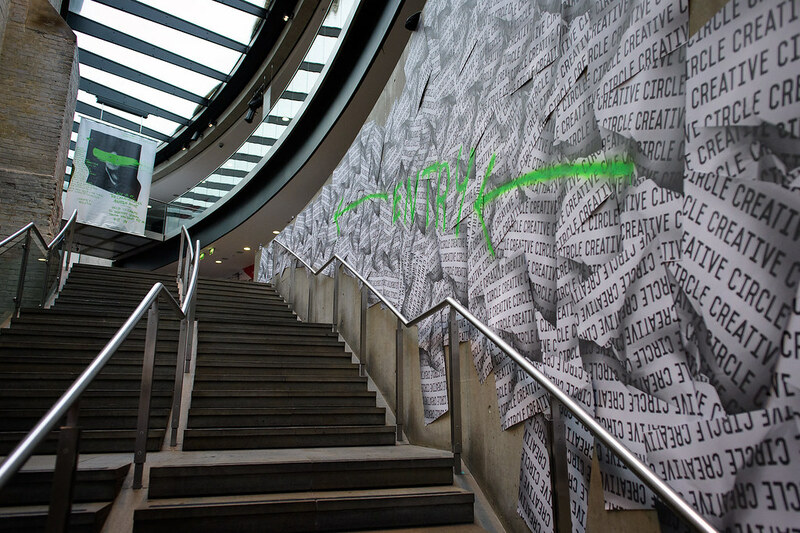 The highest scoring of those will be judged again by a jury of senior creatives. And they will select the work that goes on to the Gold jury – those elite few who decide the final winners. Now doesn’t that sound a bit fairer. Below is a brief description of how the three rounds of Judging will be conducted 3 rounds of judging. Two of these are online with the final, Gold round, being chaired by the President at a UK venue. Round One will involve each entry being scored out of 10. The juries here are made up from the Creative Circle registered creatives from around our industry. The 5 highest scoring entries in each sub category will go through to Round Two. Round Two, Senior creatives that have been invited by the President from around the industry will again score entries out of 10. The combined average score out of 10 from Round One and Two will decide which 3 entries from each category are shortlisted to go into the final Gold Judging round. The final round, the Gold juries will be made up of senior creatives with expertise in their given field. There will be 6 Gold juries. Here debate and discussion will proceed the voting. In each category there will be a winner. Whether the Gold judges deem the work worthy of Gold, Silver or a Nomination is dependent on their judgement. Once all the Gold's have been decided it is then left to the President to decide which of the Gold's is the Gold of Gold's winner of which there shall only be one. At all voting stages, a judge is prevented from voting for any entry submitted by his/her agency(ies). The decision of the Juries in all matters relating to the awarding of prizes will be final and binding. We at the Creative Circle intend to have the fairest and most democratic voting process of all the advertising/marketing awards bodies. To be eligible, you must be employed as a creative and working in the advertising/marketing industry. Thank you for booking tickets to the Creative Circle Ball and Awards Evening. We look forward to welcoming you to the event. Your booking has been successfully submitted and one of the team will be in touch shortly. If you have any queries about your booking please contact honoursnight@creativecircle.co.uk or call 020 7636 1223. 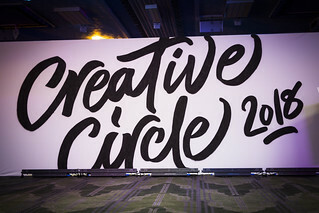 10% of all awards entry fees are pledged to the Creative Circle Foundation. We are open for entries from 1st November 2018, and are due to close on 26th January 1st February 2019. All entries must have been produced in the UK and paid for to appear in the UK media or on-air promotions between 1st December 2017 and 28th February 2019. It is free to enter all the New Talent categories. All entries have the facility for you to write a 100 word description of the idea. On some entries this is a mandatory requirement. Film and Film Craft categories. You are required to upload a video (H264 Quicktime .MOV 250MB max). Radio categories. You are required to upload an audio file as well as a .PDF of the script on headed paper. Press, Press Craft, Outdoor and Outdoor Craft categories. You are required to upload a JPEG with a brief synopsis of no more than 100 words. Digital and Digital Craft categories. You are required to submit a URL which links directly or indirectly to the work in its live or ‘as live’ form. This should allow the jury to interact with your work. A video (H264 Quicktime .MOV 250MB max) may be submitted to support the entry but a video alone will only be considered where it is felt that there is no other way for the jury to experience the work. Direct and Direct Craft categories. You are required to upload a JPEG with a brief synopsis of no more than 100 words. Experiential categories. You are required to upload either a video (H264 Quicktime .MOV 250MB max), or a JPEG with a brief synopsis of no more than 100 words. Design and Design Craft categories. You are required to upload a JPEG with a brief synopsis of no more than 100 words. General categories. You are required to upload either a video (H264 Quicktime .MOV 250MB max), or a JPEG with a brief synopsis of no more than 100 words. Special thanks to our sponsors and a big thank you to all our wonderful friends. There are a total of 70 Gold Awards to be presented this year. Every company on this Shortlist is a winner and will receive an award at the Troxy on May 9th. Includes full credits. 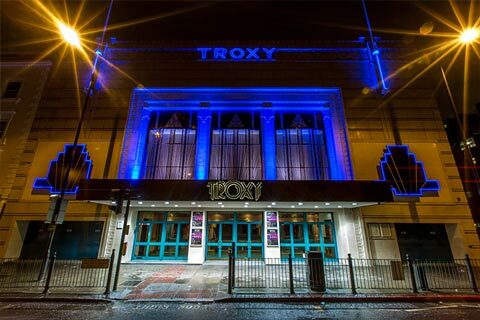 Creative Circle Ball 2019, May 9th, at Troxy, London E1.